Perfectly mismatched: this special edition Trainer Liner Special Edition Sock from 1000 Mile makes a feature of asymmetric colour accents. Be different. 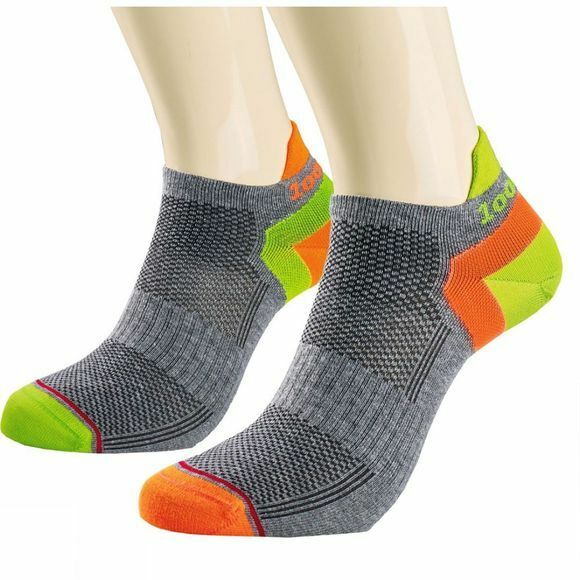 The 1000 Mile Trainer Liner Socklet has a Tactel inner layer to wick away moisture from the skin helping to keep the foot dry. The combination of fibres and top venting helps to maintain a comfortable temperature, with arch bracing offering additional support. Double layer construction helps to eliminate friction between the foot and shoe, reducing wear and helping to prevent blisters. The Ultimate Tactel range is also available in Full Crew and Anklet length. Outer: 76% Cotton, 22% Nylon, 2% Elastane Lycra. Heel Power technology keeps the sock firmly in place!